ApPHP MVC Framework is designed to provide modern and rapid development of websites, web applications and web services. MicroBlog script requires framework version 0.4.0 or later for stable work. You may read more information about the framework from this Framework Documantation page. 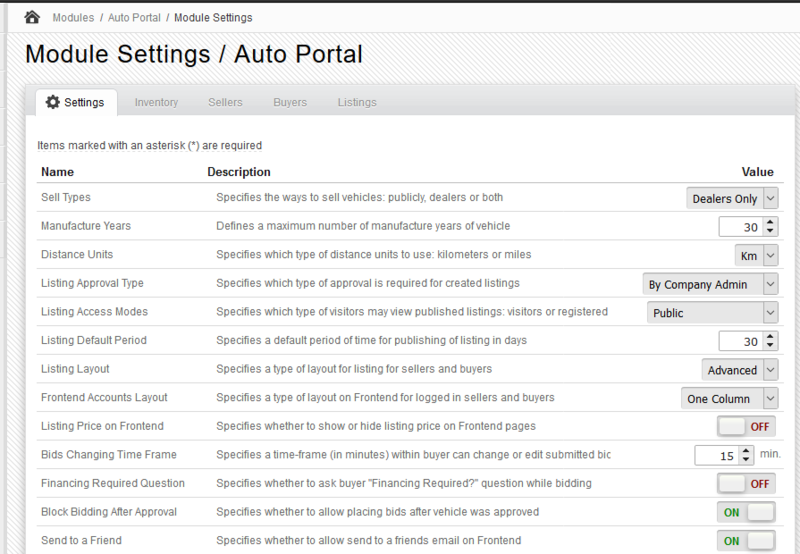 This section describes how to start work with uAutoDealers Site Backend. First of all make sure uAutoDealers module is installed on your site. To check it go to Modules / Modules Management page and select System Modules tab. If you see this module in the list with status Enabled it means it's successfully installed. Remove an old version of the module from protected/modules/ directory and upload there the new one. 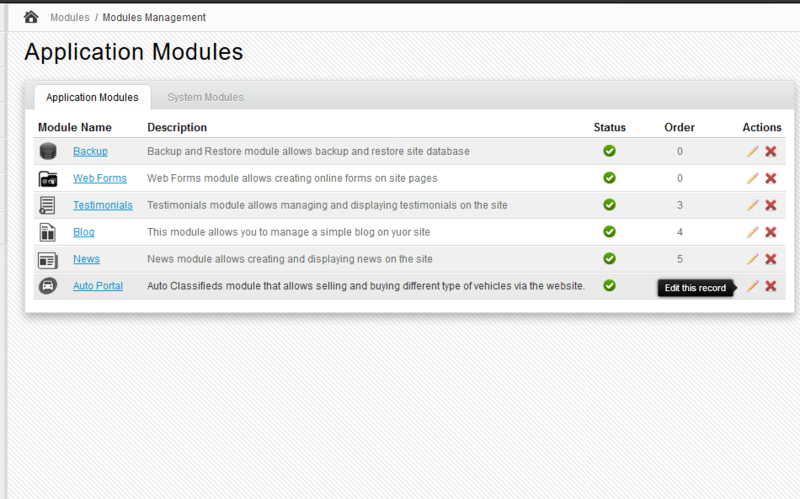 Then go to Modules / Modules Management page and select System Modules tab. 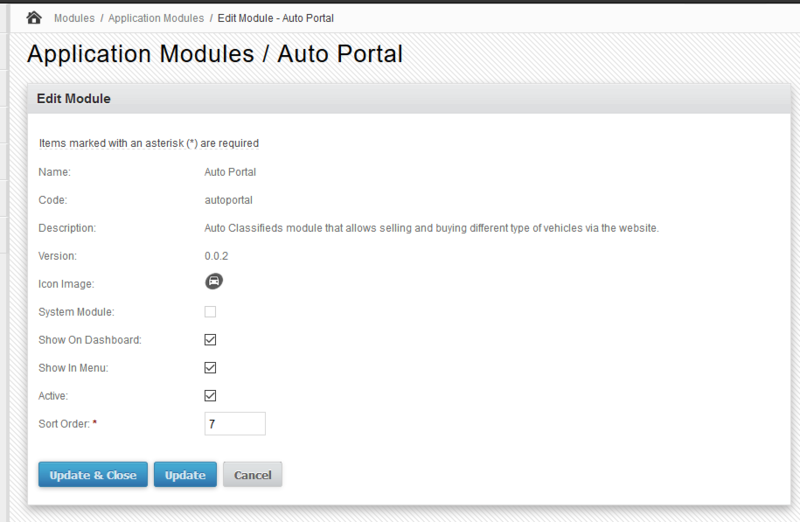 If a new version of uAutoDealers module is greater than previous you will see update icon link in Actions column. Click this icon to update the module. If update operation completed successfully update icon will disappear and module version number will be changed to the latest. 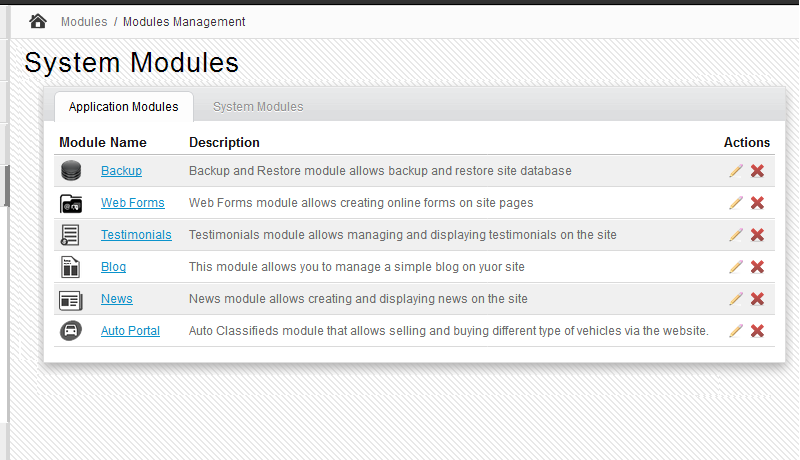 Once installed the uAutoDealers module will appear in the list of available modules on Application Modules page. Now you may edit module parameters (only allowed for system modules). Module Settings allows you to configure important settings of the module. To access this page go to Modules / Modules Management, select System Modules tab and then click uAutoDealers module link or click on uAutoDealers module icon from the dashboard.